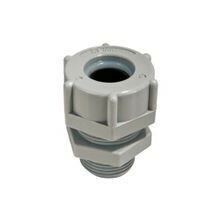 Remke’s Nylon Cable Glands are lightweight, corrosion- and heat-resistant, to stand up to the elements. They seal out dirt, dust, coolants, fumes and organic chemicals. Because nylon grips are molded instead of machined,they are ideal for use in damp environments and corrosive applications. They also provide cable strain relief with the strength and flexibility to resist wear-and-tear for reliable performance over time. Add a wire mesh grip for heavy-duty strain relief in vertical or bending and flexing applications. Nylon Cord Grips Feature Industrial-Strength Protection and Strain Relief. 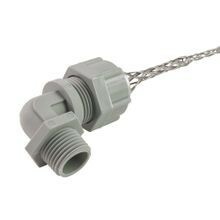 Remke nylon cable glands are the answer for reliable corrosion-resistance and strain relief in many types of applications. They feature a compression bushing made of high-quality, oil-resistant Neoprene rubber with an anti-friction washer made of nylon. 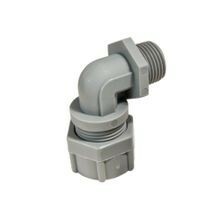 Nylon connectors are suited for automation, material handling, OEM use, maintenance and repair operations, lighting and renewable energy. The corrosion-resistant properties also make it ideal for wastewater treatment, marine and shipboard applications or pulp and paper processing. When the connector you need isn't standard, talk to Remke! Remke Engineered Solutions is entirely focused on meeting the needs of a single customer. Our Job #1 is to develop application-specific, custom nylon cord grips and connectors that meet precise specifications. Our broad spectrum of customization options is like a sliding scale, from simple to complex. No job is too small! 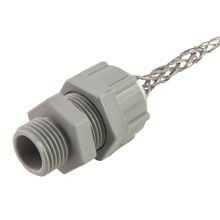 Transform stock connectors with slight modifications, adaptations and variations or manufacture custom cord grips.